Manggur Batik is unique batik of Probolinggo City, East Java, with a prime motif is Mango and Grape (Manggur = Mangga Anggur. In Indonesia, Grape is Anggur). Motif of Mango and Grape is the identity of the City of Bayuangga (Bayu = Wind, Grape, Mango). 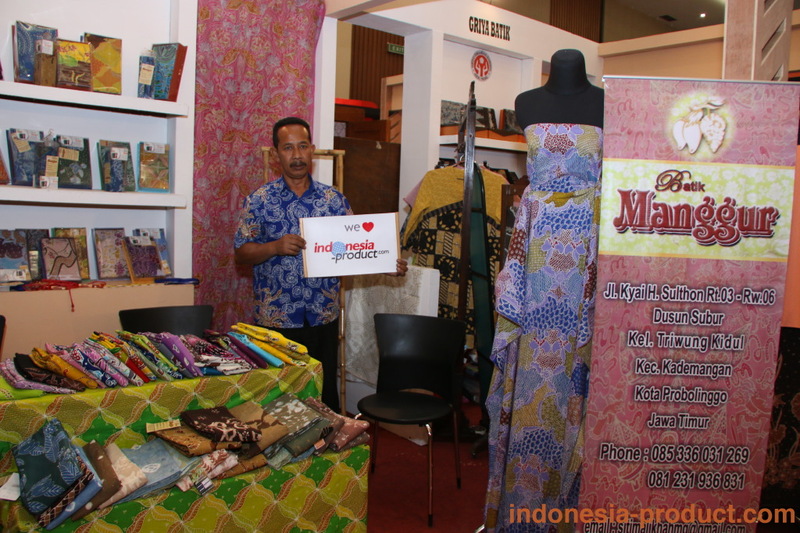 History of Manggur Batik began in 1883, marked by a special exhibition Batik Probolinggo in Amsterdam, Netherlands, with total of 150 kinds of motifs. As the initiator, Manggur Batik has a unique value, with ornaments and materials used create quality batik. The uniqueness of the product is based on natural colors taken from local trees. So the quality of Manggur Batik is not in doubt. Making patterns or motifs of Batik Probolinggo have to master the technique of making batik manually or batik with natural shades, such as Bayu elements, Wind, Wine and Mango (Bayuangga), so it has a unique pattern of batik and it’s different from the others. Batik Typical of Probolinggo City native is made traditionally or type of batik motifs of nature, the way of making that is by drawing batik, continues to wear the evening, after it was colored according to the motif. The color of batik motif usually uses green mango, grape motif wear purple and wear water glass, washed boiled, then washed wear warm water and dried. KIM “Manggur” Probolinggo is one of the SMEs located in the city of Probolinggo. Interest establishment of KIM “Manggur” is a place or gallery that the public can follow the development of technology where in villages Triwung Kidul is the majority of communities of small and medium businesses. 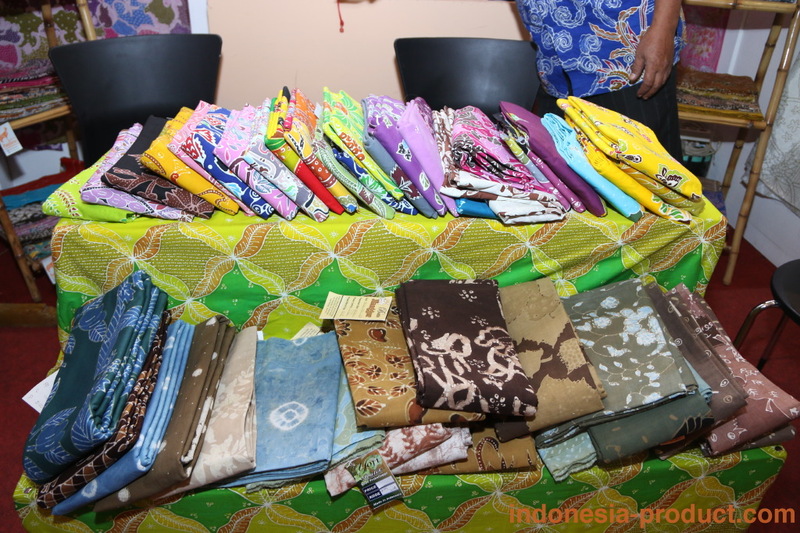 Local Government of Probolinggo hopes that the presence of KIM “Manggur” can easily market of Manggur Batik products and beyond the revenue of batik craftsmen in Probolinggo. Some people call Batik Probolinggo as Manggur Batik. Batik patterned of mango and grapes is an icon of Probolinggo and combined with motifs icon East Java, white lotus and bekisar, where white lotus is symbolizes the spirit of a beautiful woman and ductile or creative. Have a complexion – specific pattern such as Mango, Grapes, wind, etc. that applied on Manggur Batik in the form of cloth (shirt, dress) and fabric. Enjoy the beauty and make you a part of its beauty. Beautiful batik from Probolinggo, East Java is quite feasible for your collection. Unique motif makes you unique and immediately became the center of attention. Manggur Batik is made of the finest materials and done very carefully with handwriting process. Rare Batik from Probolinggo, East Java is highly recommended to have. Motif of wine and mango into a style that not be found in other areas. Make sure you become part of a unique of “Manggur Batik Probolinggo”.